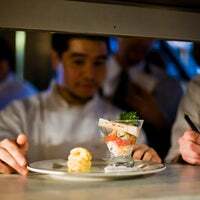 Once you get a reservation, you’ll be treated to a fun and interesting dining experience. 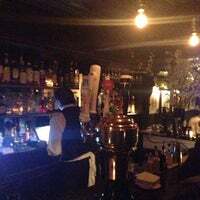 Get a custom cocktail and then have the ‘Special Blend’ Burger or the Delmonico Steak! Beautifully played modern cuisine with an authentic backbone. 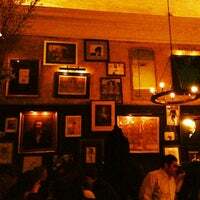 Rustic interior features Basquiat originals and modern prints making the experience all-around very cool. The chicken and waffles is a perfect balance of sweet and savory. 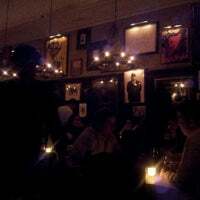 With a top notch decor, The Lion is one of NYCs hidden gems. I will be back whenever I can afford it. The BBQ burger was awesome. it doesn't come with fries, so make sure you add that as an extra. they are definitely worth it. Vintage flea market portraits and "Daily News" photos of boxers and gangsters give this John DeLucie hotspot an undeniable Americana feel. Go for brunch, and make sure to order the truffled baguette. This place is all about the scene unlike waverly which is yum. Skip the potato gnocchi and order the amish chicken. I hate chicken but this is a must . Your hips wont life after the lobster pot pie. If I owned a restaurant, this place would be my inspiration. The food was amazing, but I'm in love with the decor. You have to see it to understand. All the food is great, but the ice cream sandwich is absolutely killer. Also, they do surprising justice to Restaurant Week -- definitely not mailing it in. Voted coolest bathroom in New York by an informal poll of Varun Shettys in 2014. Also, there's a secret room on the left before the bathroom entrance. Maybe the best burger and broccolli I've ever had. And the truffle gnudi maybe be the best dish I've ever had. A favorite for private soirees, this 2-story Village den will feel like you've made a discovery — until you spot Ashton and Demi sitting among the leather couches and weathered picture frames. All apps & sides were good. Try Lamb Porterhouse! Also, my friend that was with me had Lobster Pot Pie & was good as well. The Lion's wine connoisseur was very knowledgable. Ask her pairing thoughts. Ricotta Gnudi and the crab pappardelle are absolutely fantastic. Also, the chocolate covered bacon dessert is yummy. Great food, nice atmosphere. Go for the artichoke app. Not your traditional peel & dip. 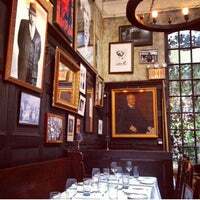 After ordering the infamous lobster pot pie or their signature burger with fried pork belly at this A-list hangout, make sure you gaze over at the Basquiat and the LaChapelle on the wall. The fois gras app is off the chain, well cooked piece of branzino with great flavors...service isn't best but the food & vibe def makes up for it!!! When asked if they had more vegetarian options than the 2 listed on the menu, the waiter snapped back 'no.' Had a good meal but limited options will keep me from coming back soon. Best meal I've ever had. Order anything. It will be amazing. Pretty sure this is the peak of my food life. The spiced duck breast is life changing. Seriously. Gorgeous room with gorgeous people. 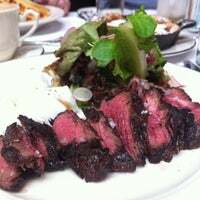 The food leaves much to be desired but the steak and frites will satisfy for the moment. 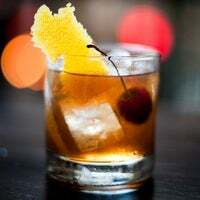 The Old Fashioned is described as "rusty" because it has Drambuie in it, making it similar to a Rusty Nail. 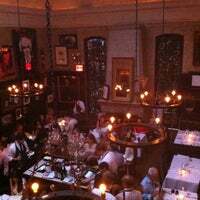 no longer the "white hot" resto from a few years back but still delicious.. a gorgeous & transporting room.. feels like Europe. Pretty darn sceney- on a monday night, brooke shields, andre balasz, and seth meyers there. It's a more spacious Waverly Inn with better food and more down to earth service. Nice bar area. 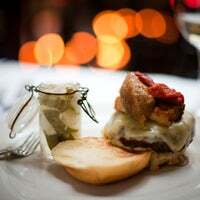 The food here is delicious - the burger is one of the city's best! There's pork belly on it!! This place is all about the scene. Waverly Inn features better food but since you've already checked in order the Amish Chicken, this from a Chicken hater. Fries are good. Great cocktails. Cool vibe I the back dinning room. Absolutely love this place! Everything I tasted was great. Amazing service too! Lovely place for dinner. The Porterhouse steak is great. 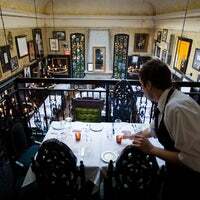 The second floor perch is one of the finest seats in Manhattan. 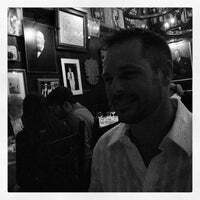 Check out the gallery of prints! Some Basquiat's and LaChapelle's are among them. The pork chop and burger are outrageously good! Classy decor. Check out the painting in their womens restroom! Chicken pot pie is what you would call amazeballs. Get involved! For brunch, the "3" scrambled eggs looked more like one egg. Also, 10-15 minutes for a cup of coffee was a tad long to wait. Fab space, though. You made it in! Order a big drink and a burger, some extra fries, something with an egg. Now, who’s here we recognize from Page Six? Enjoy the Long Meadow Ranch, EJ CHURCH Cabernet Sauvignon Reserve. Delicious, and only 150cs made! The best! "toll toll toll - sehr lange im Voraus reservieren!" "Meatball sliders are divine. Porkchop is also fabulous. 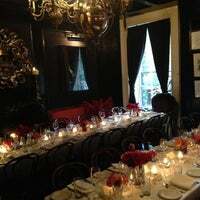 Small space but great restaurant." 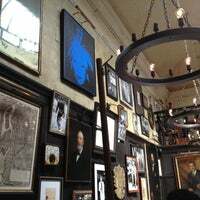 "Great place to have a quick brunch. Salmon bagel was tasty and fresh. A plus also the complimentary lemon water." 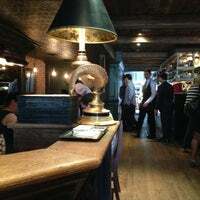 "Good selection of whiskey and whiskey based cocktails. Food is Scottish comfort food, aka heavy,in a good way. 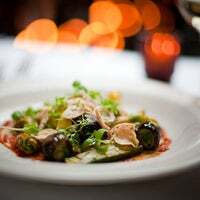 Brussels sprouts and scallop are very good!" 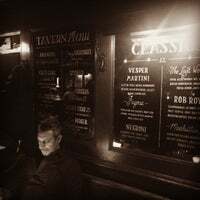 "A casual and cosy vibe. Great music & the perfect snowy day meal. Mussels with a glass of Chablis."